I’ve Been Served With An Eviction Notice! Now What? Getting served with an eviction notice can be a stressful experience. Tenants who receive one of these notices need to act quickly to protect their rights. An eviction notice in Massachusetts is generally one of two things. To start an eviction, a landlord must send a tenant a notice to quit, informing the tenant that their tenancy is being terminated. These notices typically provide fourteen or thirty days notice to the tenant, depending on the reason for the eviction. After a tenancy is terminated, a landlord must serve the tenant with an eviction summons. This is the official court notice that an eviction is beginning against a tenant, and is the eviction notice that a tenant needs to be most mindful of. An eviction summons contains a number of different dates, including an entry date, hearing date, and answer deadline. This last date, the answer deadline, is the most important date to keep in mind in responding to an eviction notice. This is the date by which the tenant must respond to the eviction notice, and state the reasons why the tenant believes he or she should not be evicted. Under the rules for Massachusetts evictions, the answer must be received on the answer date. Unlike other types of court cases, mailing an answer on the answer deadline is not compliant with this deadline; the clerk’s office and the landlord must actually get the answer by this deadline. Failing to comply with this deadline puts you at risk of a default judgment (an automatic win for the landlord). This response to an eviction notice is known as an answer. In an answer, the tenant is required to admit or deny each of the allegations made by the landlord against the tenant, and to list each of their defenses against the eviction. A tenant also has the option of bringing claims against the landlord, known as counterclaims. Common defenses and counterclaims in eviction cases include poor conditions in the rental unit, discrimination, and violation of the Massachusetts Security Deposit Law. A tenant also has the right to request discovery from the landlord. Discovery is the process by which a tenant can ask a landlord written questions, which the landlord must answer under oath, and to request that the landlord produce all documents relevant to the case. If this process sounds confusing to you, you aren’t alone. Despite the availability of many landlord/tenant resources online, eviction cases can be complex and tricky. Tenants who have received an eviction notice should give serious thought to meeting with a landlord/tenant attorney for help with their case. Many tenants are surprised to learn that such services can be affordable and, most importantly, effective at getting you the results you need. Rule number one for Massachusetts landlords: never, never take a security deposit. As I have written before, the risks just aren’t worth it. The Massachusetts Security Deposit Law is one of the most complex and detailed laws on the books, with numerous traps for the unwary. Failing to follow one of the law’s requirements can result in treble damages, attorney fees, and costs against the landlord. As such, a $1,000 security deposit can easily result in $4,000-$5,000 in damages against a landlord if the security deposit law is not strictly followed. An important part of this law concerns returning a security deposit. Returning a security deposit would seemingly be an easy task, with the landlord simply taking the required amount of damages from the deposit and returning the balance to the tenant. The security deposit law, however, has detailed requirements for how this must be done. Failing to comply with even the most minor requirements of this law can result in enormous damages to the landlord. How should a landlord handle returning a security deposit? Contact a landlord/tenant attorney. An attorney can help ensure that each of these requirements are complied with and save time, money, and heartache down the road. While it may seem “overkill” to hire an attorney for such a seemingly small matter, doing so can avoid an even bigger problem resulting for a violation of this law. Tenants who are having problems with getting their security deposits back should also speak to a landlord/tenant attorney. The aim of the Massachusetts Security Deposit Law is to avoid having tenants lose their security deposits without cause, and provides relief for violations of this law. Levying an execution in a Massachusetts eviction case is the process by which a landlord, if they are successful in the eviction, is permitted to remove the tenant’s belongings from the rental property. An execution for possession is a legal document that a court issues if it determines that a landlord is entitled to possession of the rental property. This occurs if the tenant defaults in the case (does not show up to court) or if the landlord prevails at trial. Following the court’s judgment, the tenant has ten days to appeal the decision. If the tenant appeals, the execution will not issue, pending the appeal’s resolution. If the tenant does not appeal, the clerk’s office will issue the execution. After the execution is issued, the landlord must levy it. Levying an execution must be done by a Massachusetts sheriff or constable; a landlord cannot remove a tenant’s possessions on their own (doing so will get the landlord into serious trouble). A sheriff or constable is required to provide the tenant with 48 hours notice prior to levying the execution. Moreover, the landlord is responsible for making arrangements to store the tenant’s property after the execution has been levied. Needless to say, the costs of levying an execution can be significant: it is not unusual for this process to cost thousands of dollars. A tenant facing the levying of an execution has the option of requesting that the court stay the execution. Under certain circumstances, the court will permit a tenant to stay beyond the time otherwise allowed. Landlords should always be cognizant of the reality that levying an execution is time consuming and expensive. Whenever possible, landlords should attempt to work out resolutions with tenants that avoid this burdensome process. Does An Eviction Show On a Credit Report? A common question for tenants facing eviction is whether an eviction will show on a credit report. Tenants, understandably, are concerned about whether such cases will become a public record and be accessible by others. According to the credit bureaus, the mere filing of an eviction case by a landlord will not, on its own, show on a tenant’s credit report. This makes sense: the mere filing of an eviction case does not mean that the tenant deserves to be evicted. If a tenant has a viable defense to an eviction case, the eviction will be unsuccessful. However, if the landlord does succeed in an eviction case and the tenant owes the landlord money, the landlord can obtain a judgment for this owed amount. Such a judgment can be reported to the credit bureaus (the same as any owed debt). A landlord can also obtain a judgment if the tenant fails to show up to the scheduled court hearing; a landlord is permitted to obtain a default judgment, automatically giving the landlord possession of the property and the owed rent. Although an eviction, on its own, may not show up in a credit report, evictions in Massachusetts are public record. 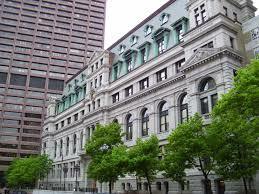 Court records are available on masscourt.org and eviction cases can be searched a party’s full name. When an eviction is filed, it automatically becomes a public record and is accessible through this website. Several tenant screening services are said to search this website and create lists of filed eviction cases, to help landlords learn the rental history of a prospective tenant. With this in mind, tenants need to be careful in resolving an eviction case with a landlord. If one of these cases is settled, the tenant should insist that an agreement for judgment or some similar paperwork be filed in the case to note that the matter was resolved amicably. If you find yourself facing a landlord/tenant problem, contact me for a consultation. Does a Landlord Need a Reason for Terminating a Tenancy? Does a landlord need a reason for terminating a tenancy? The answer depends on the type of tenancy that exists between the landlord and tenant. In a tenancy at will, the rental agreement between the landlord and tenant continues until either party chooses to end it. As an agreement “at will”, either party is free to end the tenancy simply by providing adequate notice to the other side. Tenancies at will are generally month-to-month rental agreements, which requires the landlord to provide the tenant with thirty days notice prior to ending the tenancy. The landlord, importantly, does not need to provide the tenant with a reason for terminating the tenancy. In contrast, a tenancy by lease, where the rental term is fixed by the terms of an agreement, generally requires a reason for terminating the tenancy. Here, the terms of the agreement generally defines the grounds for terminating the tenancy, and the type of notice that the landlord must provide to the tenant. Such an eviction is known as a “for cause” eviction for that reason: the landlord must have a reason for terminating the tenancy. This generally occurs when the tenant has broken one of the terms of the lease. A landlord can also terminate a tenancy by lease for non-payment of rent. Absent one of these reasons, a landlord cannot arbitrarily terminate a lease agreement (unless the agreement provides for this). This is one of the benefits of a lease: a tenant is guaranteed a place to rent for a set period of time. Regardless of the type of tenancy, there are limitations on the grounds that a landlord can use to terminate a tenancy. A landlord can never discriminate against a tenant on the grounds of race, ethnicity, religion, or one of the other protected classes of discrimination under state and federal law. Similarly, a landlord can never retaliate (“punish”) a tenant by terminating a lease due to a tenant’s reporting of bad conditions in a rental unit. A landlord who terminates a tenancy for one of these reasons can get into huge trouble, and be liable for large monetary damages. If you find yourself in a situation involving the termination of a tenancy, contact me for a consultation. Unsafe conditions in an apartment is an unfortunate reality for many tenants and landlords owning rental property. Buildings by nature get old and need repair, and despite the efforts of even the best landlords, unsafe conditions in an apartment can arise. How should this be handled? Step one: tell the landlord in writing. Despite the “slumlord” stereotype of many landlords, most owners of rental property care deeply about their property and those who live in it. Tenants with unsafe conditions in an apartment should promptly notify their landlord of the problem, and take pictures /video of the poor conditions. Give the landlord adequate time to address the matter, and be as cooperative as possible in helping to get the problems fixed. If the landlord refuses to address the problem, the next step is to file a complaint with your town or city’s inspectional services department (“ISD”) or department of health. These agencies have trained staff who are responsible for inspecting apartments, documenting poor conditions in units, and filing a complaint with the landlord. If the landlord continues to address the problem, the town or city can bring civil and criminal charges against the landlord. The law allows a tenant with unsafe conditions in an apartment to withhold rent and seek damages against the landlord. An important requirement of this, however, is that the landlord has notice of these unsafe conditions. This makes sense: a landlord can’t repair a problem that it doesn’t know about. This is why it important to provide this notice in writing, and keep a copy for yourself. Massachusetts law prohibits a landlord from retaliating against a tenant who complains about unsafe conditions in an apartment. A landlord cannot raise rent, begin an eviction, or do anything to “punish” a tenant from making a complaint. A landlord can be liable for monetary damages if they do such retaliation. Landlords should always take complaints about an apartment seriously, and document all repairs made to the unit. Landlords should also be careful about requesting a raise in rent or beginning an eviction after such a complaint is made, so as to avoid a claim of retaliation. While tenants should absolutely report unsafe conditions in an apartment, this should be done in good faith. Repeated, bad faith complaints done solely to annoy the landlord, or avoid paying rent, can possibly subject a tenant to problems done the line. Moreover, this can become a “boy who cried wolf” scenario that will hurts tenants who actually need their apartments repaired. If you find yourself in a case involving unsafe conditions in an apartment, contact me for a consultation.